On March 5, 2019 Dr. Robert Miller hosted a SPAC (Soil and Plant Analysis Council) Workshop for California-based Ag Labs in Turlock, CA at the Carnegie Arts Center. There were 25 attendees, as well as 4 commercial vendor reps and the host, Dr. Miller. The program included presentations from vendors and representatives from the industry, with a highlight presentation from Dr. Diane Stott with USDA-ARS on Soil Health Analysis Methods. Want to request another workshop? hence CEC is typically measured at a constant pH. But Dr. Miller pointed out that this practice can provide a CEC value that is not truly indicative of the actual soil CEC. Many Ag Labs do not measure CEC directly but calculate CEC based on extracted Ca+2, Mg+2 and K+1 values. This method for estimating CEC is really only valid if the soil pH is 7.5 or less and the soil has not been limed within the past 6 months or received recent additions of K, Ca or Mg containing fertilizer. There are a variety of methods for measuring CEC and the gist of his presentation was to know the history, type, and pH of the soil and understand how the measurement is going to be used. 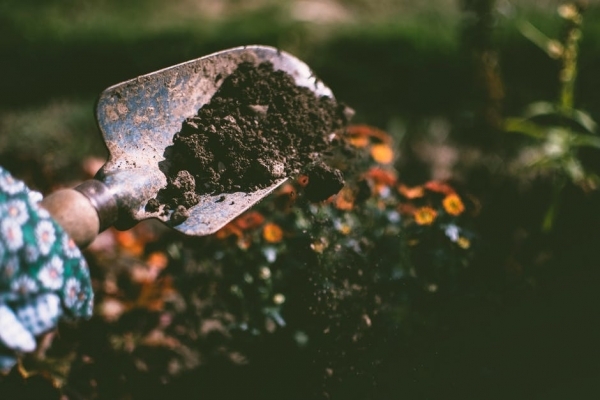 Dr. Stott, who has degrees in microbiology and soil biochemistry and over 30 years of experience, gave a presentation on methods for soil health characterization. She emphasized that soil is a living entity and soil is unique to its history and its location. She outlined numerous methods for soil characterization with pros and cons for each. She discussed the importance of knowing the nature and content of organic matter in the soil, as this is where the life of the soil exists. She also discussed the importance of cover crops for maintaining the moisture and the chemical health of the soil and showed dramatic examples of farmlands that were appropriately managed with cover crops and those that were not. methods for important analytes and that Ag Labs put the method name along with the results on the laboratory report. For emphasis he gave examples of report data that could be misinterpreted if the method used to collect the data was not known. He requested that labs be proactive in asking about the purpose for the analysis requested so that the correct method is used, and determining if the analysis was completed previously on the same soil so that the same analysis method is used and historical data can be correlated. There were also presentations throughout the day from Timberline Instruments, Elementar Americas, EA Consumables, and Spectro-Analytical, each presenting the newest information about their latest respective commercial analytical offerings for the Agriculture market. At the end of the meeting Dr. Miller informed the group that a similar laboratory group in Minnesota was in the process of developing a self-certification process, using the ALP data from Dr. Miller’s proficiency program, so that no further analysis work is needed and customers can be satisfied that the lab they choose creates reliable data. He said this California group should consider doing the same.